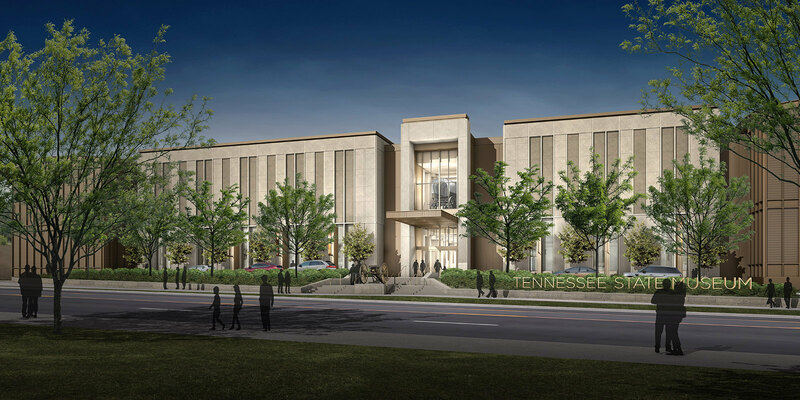 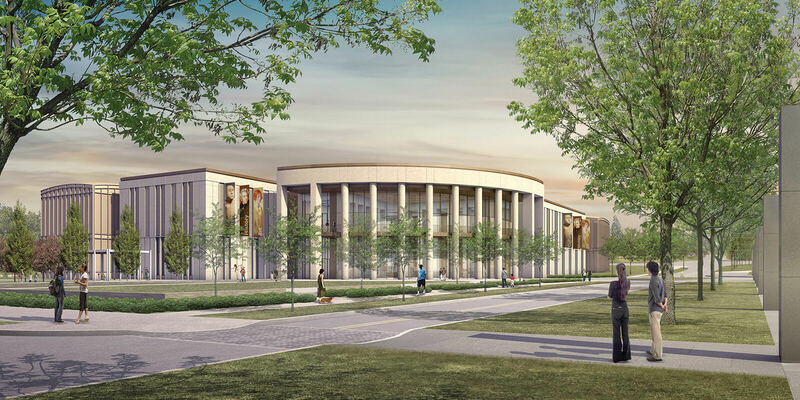 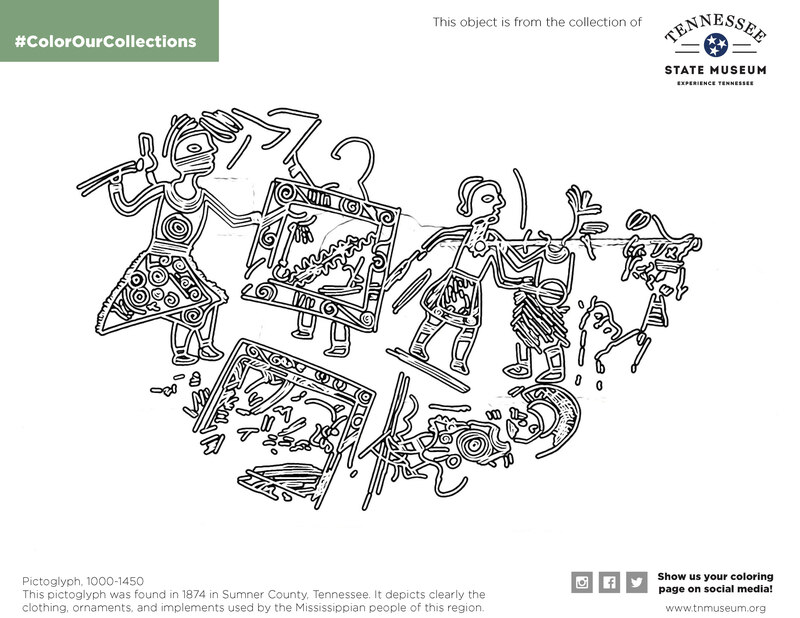 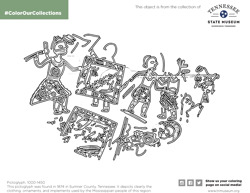 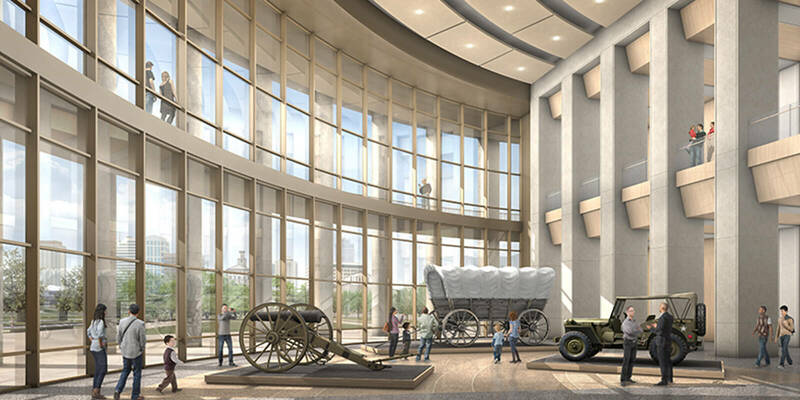 The Tennessee State Museum invites you to get creative with our collection of artifacts. 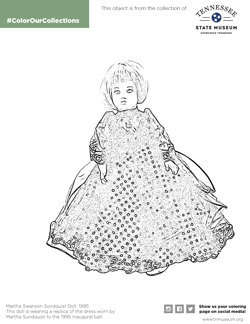 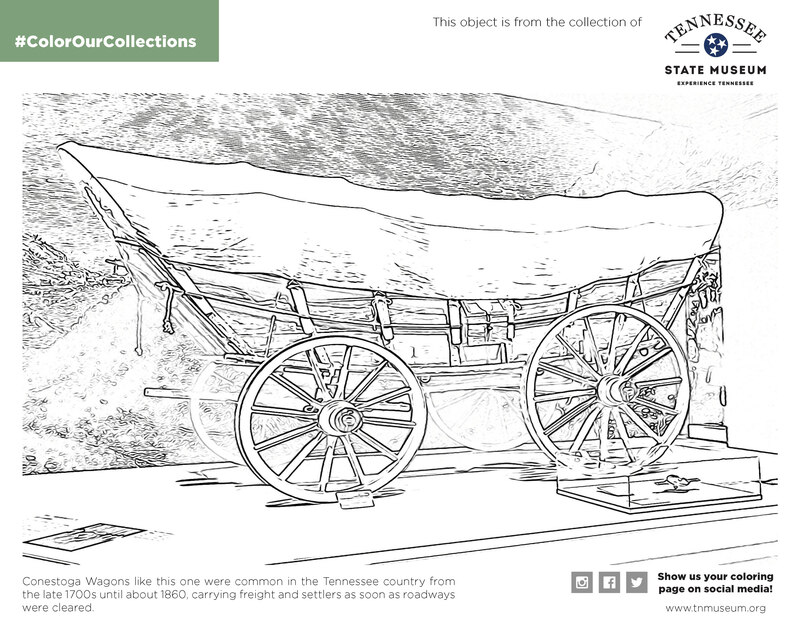 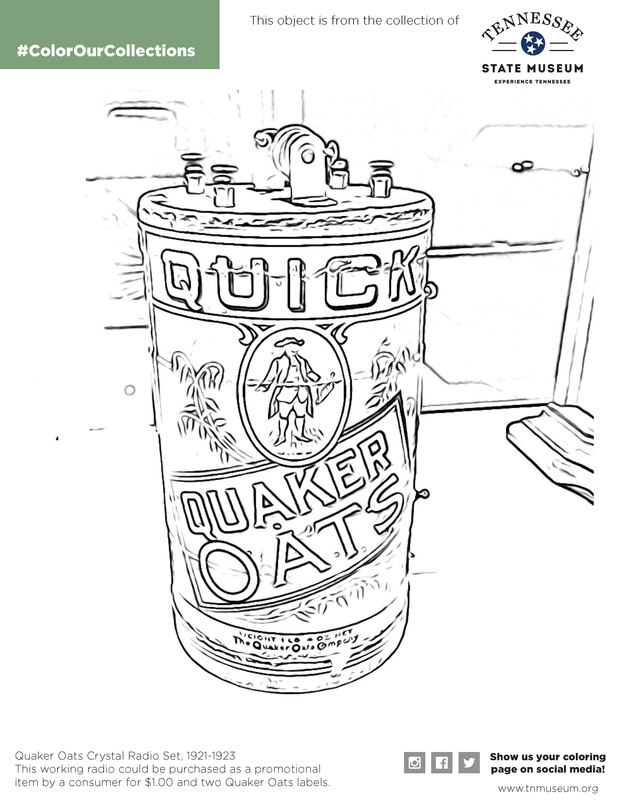 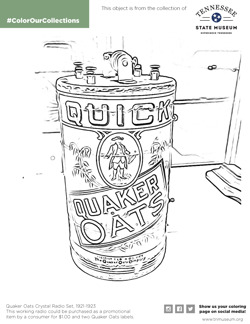 We are offering free coloring book pages featuring popular objects from our collection for you to paint as your own. 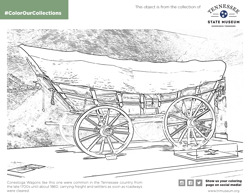 Find your favorite coloring book page with thumbnails below. Click on the image, and then print. 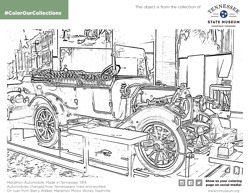 You can also download all the pages at once as a PDF document. 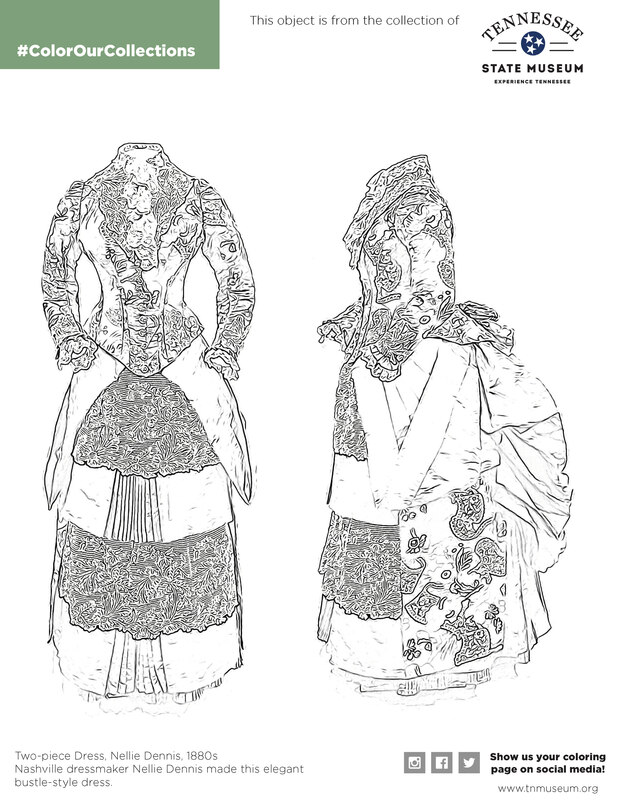 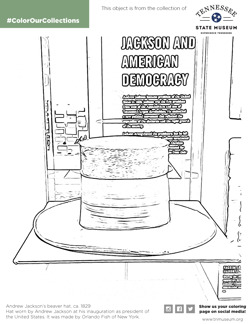 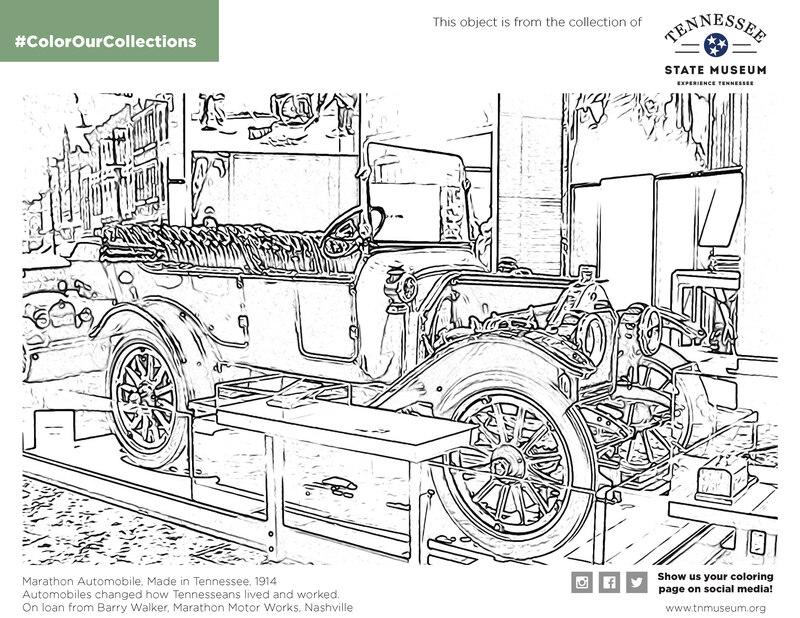 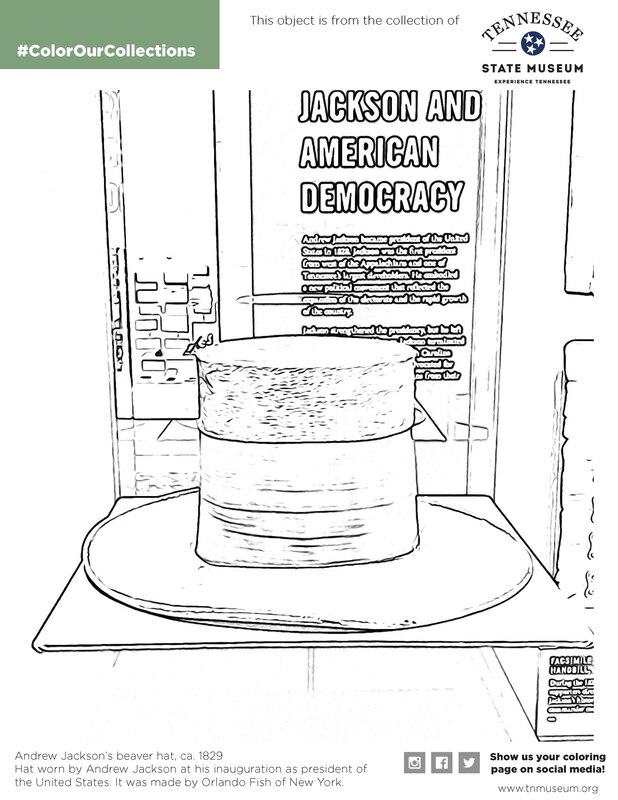 #ColorOurCollections is a week-long coloring fest on social media organized by libraries, archives, and other cultural institutions around the world, and was launched by The New York Academy of Medicine Library in 2016.